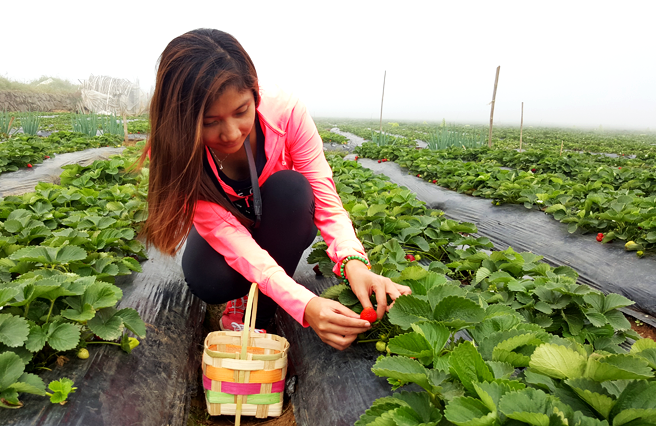 The town of La Trinidad in the province of Benguet is well known for its strawberry and vegetable plantations which entitled them as the ‘Strawberry Capital of the Philippines’. 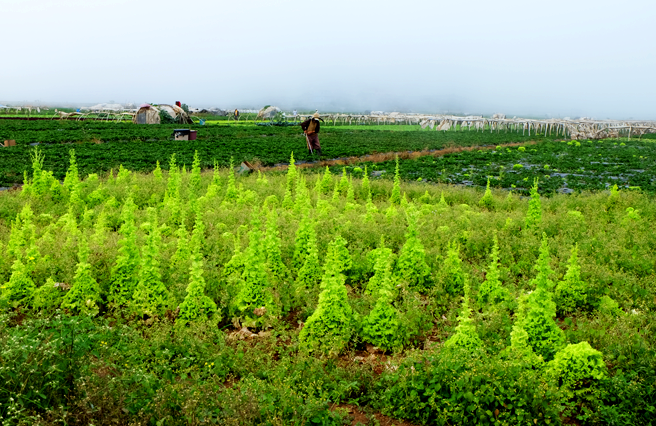 With its land area of almost 8,200 hectares and valley’s floor elevation at 1300 meters above sea level that makes the cool temperature of the place, they were able to establish a farm land for growing strawberries. After we visited Mt. Jambo/Mt. Yangbaw – mountain peak in La Trinidad where you can witness sea of clouds and stunning 360 views. Visit blog post (Click here-> Mt. Jambo), we also thought of going to the strawberry farm and experience strawberry picking. Since we were already in town and it’s just few kilometres away from where we were, of course we grabbed our chance on visiting one of the major tourist spots in Benguet . From Baguio City, ride a jeepney bound for La Trinidad or Buyagan. The fare is around Php11. There is a terminal located at Magsaysay or T. Alonzo Street, or just near Baguio City Hall. Then just ask the driver to drop you off to Strawberry Farm. From Mt. Jambo in Bgy. Tawang, ride a jeepney with a Tawang-La Trinidad bound sign. The fare is Php10. Then asked the driver to drop you off at the ‘bridge’ – I forgot the name of the street. From there, walk passed the bridge and you will see one of the landmark ‘Tsong San’. And from there, ride a jeepney bound for Tomay. And just tell the driver to drop you off to the Strawberry farm. You will be drop off on the main road so you have to walk a little bit to get to the main gate or you can just ride a tricycle. 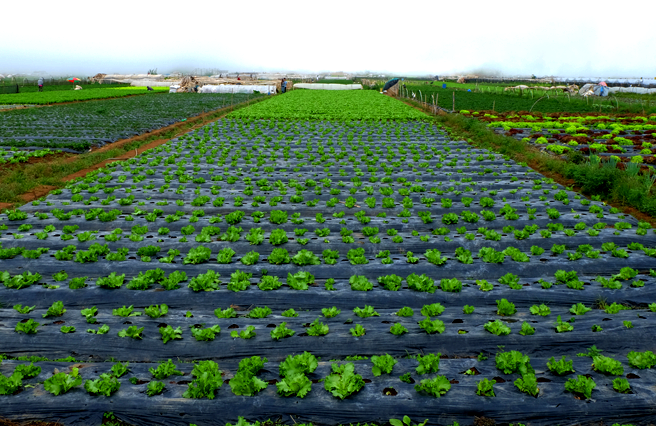 For the main activity, you have to register first and choose if you would only take some pictures inside the farm or if you would pick your own fresh strawberries. 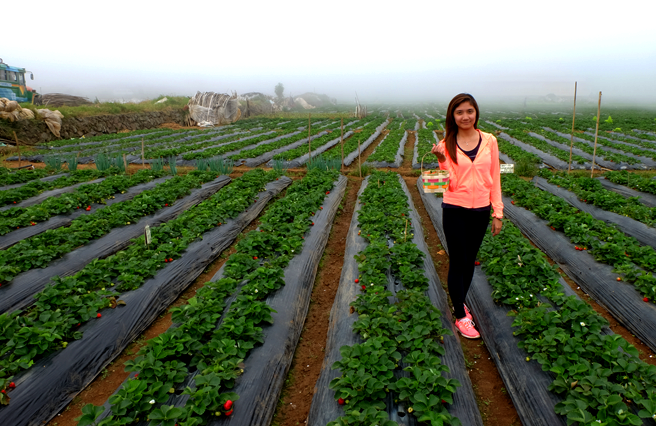 I was really surprised of the big land farm of strawberries and vegetables they have in La Trinidad. And different ‘Ibaloi’ (locals in Benguet) there have its own place or possession of land. 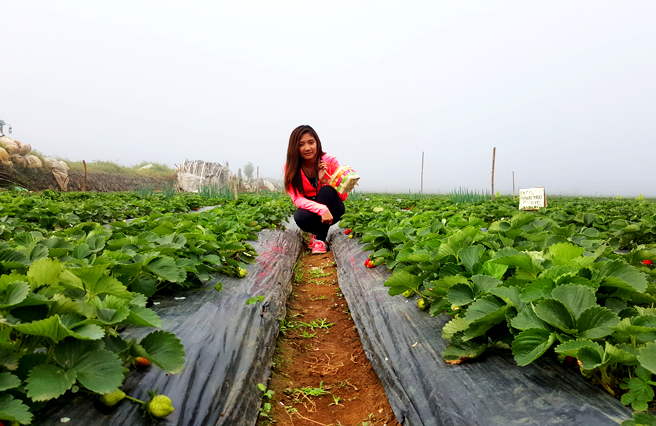 Picking of Strawberries is Php300 per kilo. 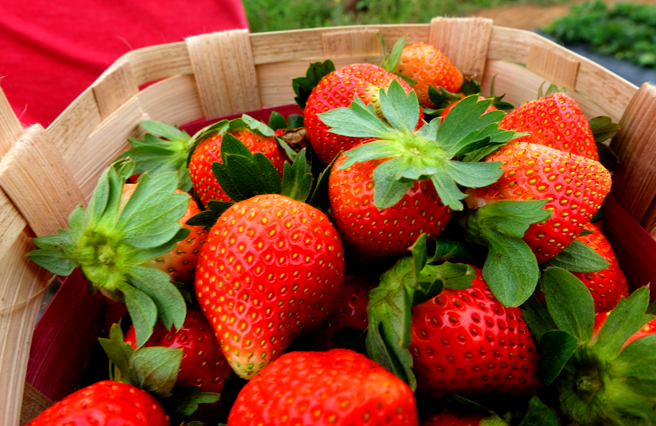 You can experience picking of strawberries and have the power to pick the fresh ones. And will be all yours as you go home. - Red strawberries are already ripe. - Pick the ones who are not fully ripe especially if you still need to travel a long way back to Manila. So it won't get rotten. - Small strawberries are more sweet. 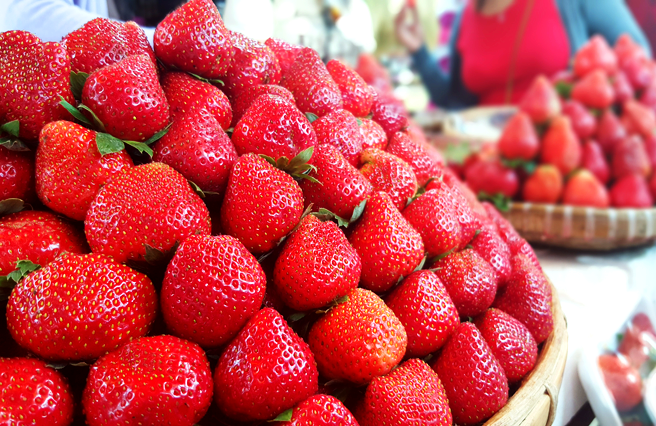 Here’s the catch, you could actually buy one kilo of strawberries in the market for only Php150. So yes, picking of strawberries is double the price. 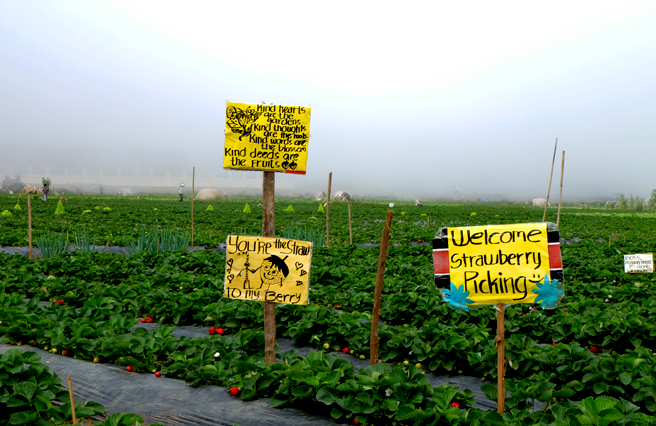 You just don’t pay for the strawberries but also for the experience, and of course you can pick the fresh ones. One important thing also that you can do is to buy vegetables. I was really surprised on how cheap they sell their vegetables here. And no doubt it’s all fresh. 11:30 AM Buy souvenirs, etc.